Wonderful original Victorian cast iron plaque. It has had years of old paint removed and been repainted. I have however not over cleaned it so it still looks absolutely original. 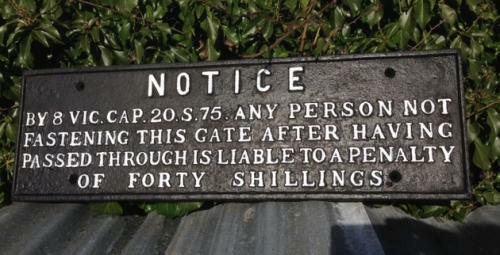 This would have been stacks of money back then so I am sure the gate always remained firmly closed!